By Joseph Shade. Published by Lexis Nexis Matthew Bender. 2013. 5th edition. This publication from LexisNexis is meant to serve as a basic introduction to the basics of Texas oil and gas law. 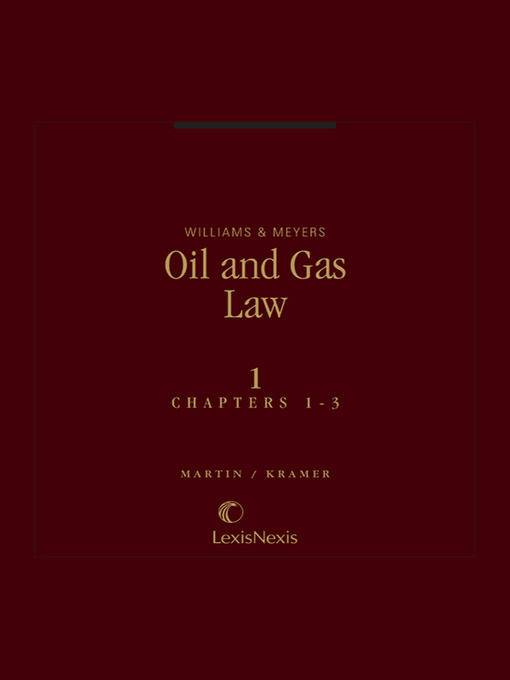 Author John Shade summarizes the primary concepts of oil and gas law with the goal of providing the reader with a general understanding of the subject matter. 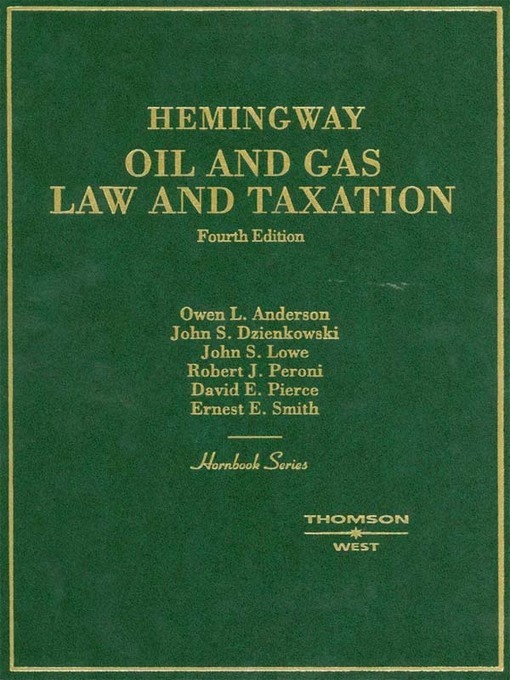 For readers wishing to research more deeply into oil and gas law, the author suggests continuing research with Ernest E. Smith's Texas Law of Oil and Gas, which is available in the State Law Library's print collection. 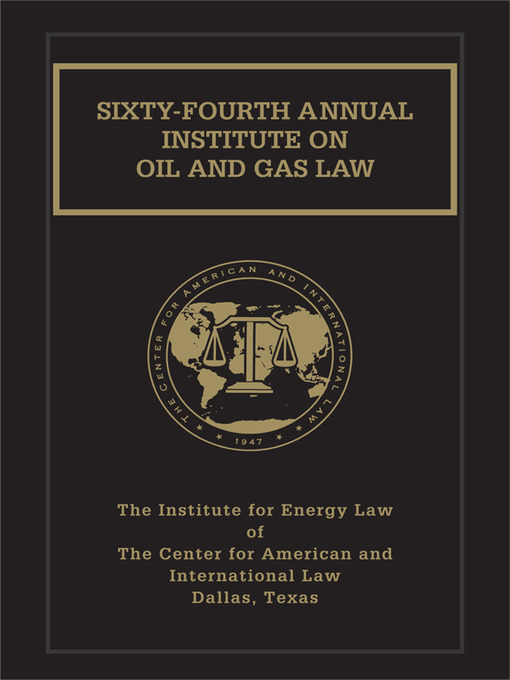 By Institute for Energy Law of the Center for American and International Law. Published by Lexis Nexis Matthew Bender. This annual publication on the proceedings of the institute keep practitioners up to date on developments in the field. By Bruce Kramer. Published by Lexis Nexis Matthew Bender. 1989. 3rd edition. By Howard Williams. Published by Lexis Nexis Matthew Bender. 1959. 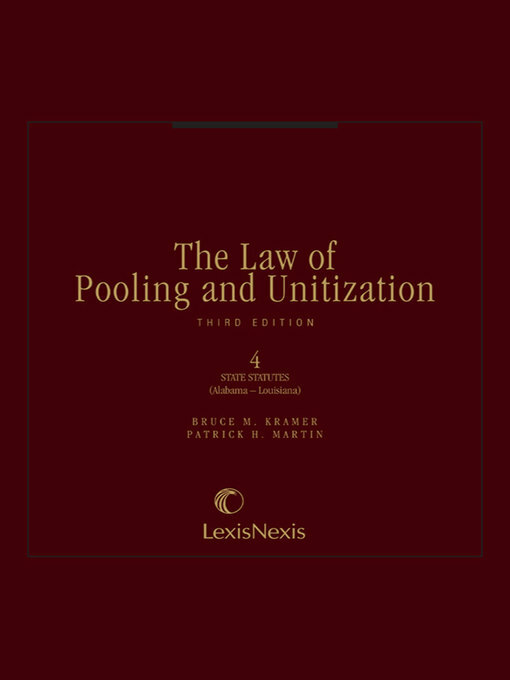 This multivolume set looks at conveyancing, leases, implied covenants, and pooling. In addition it also contains oil and gas forms. By Owen L. Anderson; Richard Hemingway. Published by Thomson West. 2004. 4th edition. This hornbook is written as an introduction for practitioners and students. It looks at mineral estates, conveyances, trespass, leases, transfers, and federal taxation. By John Lowe. Published by Thomson West. 2014. 6th. 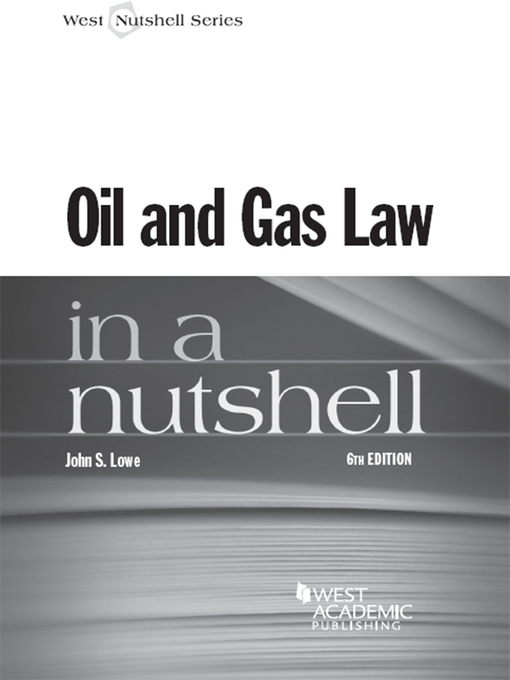 This nutshell book provides a good overview of the oil and gas law landscape. It covers topics such as the nature, protection, and conveying of oil and gas rights, leasing, and taxation. It contains a table of cases cited as well as a useful glossary of terms. By Eugene Kuntz. Published by Anderson Publishing. 1964-. 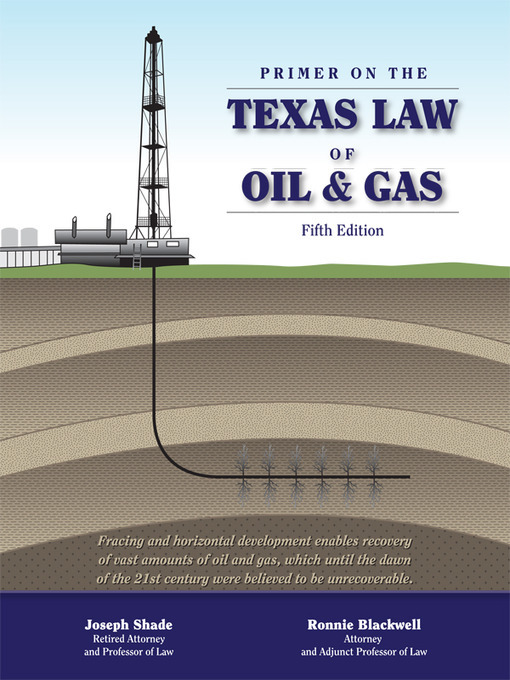 This revision of Thornton includes a historical and technical background on oil and gas law. It looks at ownership issues, oil and gas leases, drilling clauses, royalty clauses, special clauses, federal and state regulations, and implied covenants. It includes forms and an extensive table of cases.